Air conditioner parts and repairs are expensive. 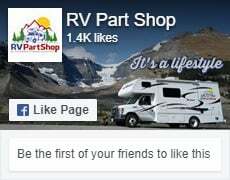 If you don`t have one of our full or roof-only RV covers, protect the rooftop air conditioner on our motorhome or trailer. We have covers to fit all brands and sizes of RV Air Conditioning Units, including Dometic, Coleman-Mach and Carrier. These are all constructed with Heavy-duty jersey-backed vinyl for durability and to protect against moisture,< airborne contaminates and UV rays to lengthen the life of your air conditioner shroud. They even help to reduce draft on cold days.